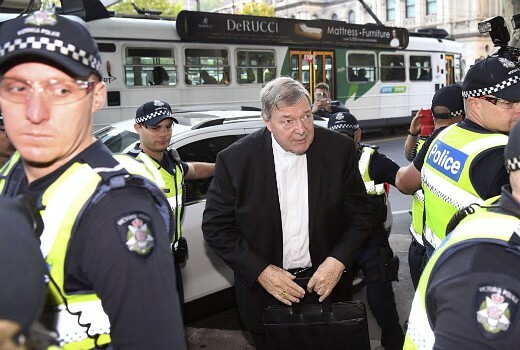 Journalists, editors and media organisations will have to face court for alleged contempt over their coverage of Cardinal George Pell’s conviction for child sexual abuse. Victorian County Court Chief Judge Peter Kidd placed a non-publication order on all of the evidence and the verdict in Pell’s trial, which was held last year. But some media organisations referred to a high profile case but did not mention Pell by name. The order was not lifted until a second trial was abandoned. The Victorian Department of Public Prosecutions, Kerri Judd SC, subsequently sent notices advising of possible contempt of court breaches. Amongst those named are The Age editor Alex Lavelle, Herald Sun editor Damon Johnston, 2GB hosts Ray Hadley & Chris Smith, and Nine’s Deborah Knight, Lara Vella & Christine Ahern. Some organisations which originally received notices found they do not have to attend on April 15. Victoria’s DPP has called for jail or hefty fines for 36 respondents. A Nine spokesperson said Nine and its named employees denied the allegations, but would not comment further while the matter was before the courts. News Corp has also indicated it will rigorously defend its position.